The search for the perfect woman: 100 years ago, America was obssessed with Venus de Milo look-alikes. 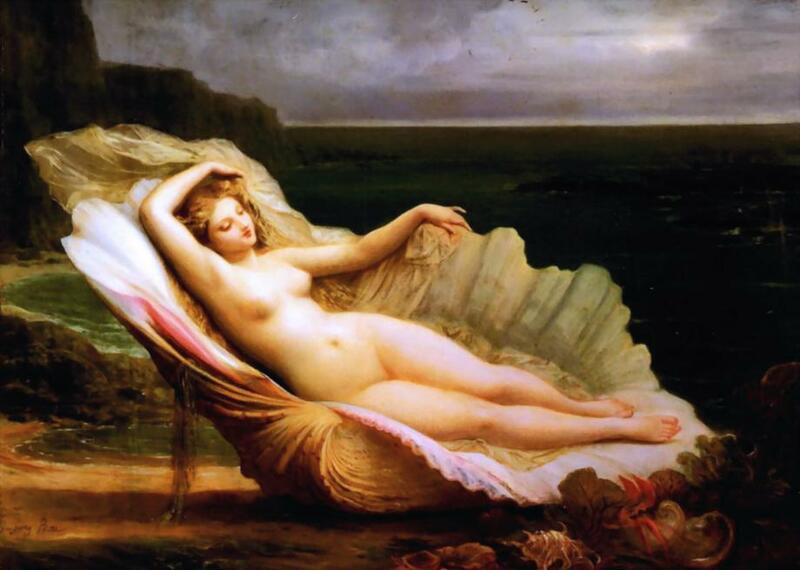 Venus as painted by Henri-Pierre Picou. In February 1916, two prestigious Northeast American liberal arts colleges engaged in a spirited war of words, goaded by the media. The conflict, between Wellesley in Massachusetts and Swarthmore in Pennsylvania, did not pertain to academics, admissions, suffrage or sporting teams. They were fighting over which college’s female students most closely resembled the Venus de Milo. At the time, American women were still getting used to breathing easily, having wrestled free from the tightly laced corsets and bulky bustles of the Victorian silhouette. But in the absence of these strictures they faced a new kind of aesthetically minded pressure: the need to make their measurements correspond to those of a Greco-Roman goddess. The soft curves of Venus—Aphrodite to the Ancient Greeks—were being exalted once again as the paragon of female beauty. Accordingly, the nation embarked on a quest to find a living, breathing woman whose body was of exact Venusian proportions. The Wellesley-Swarthmore tiff began on Feb. 10, 1916, when Wellesley released the composite data of its students’ measurements. 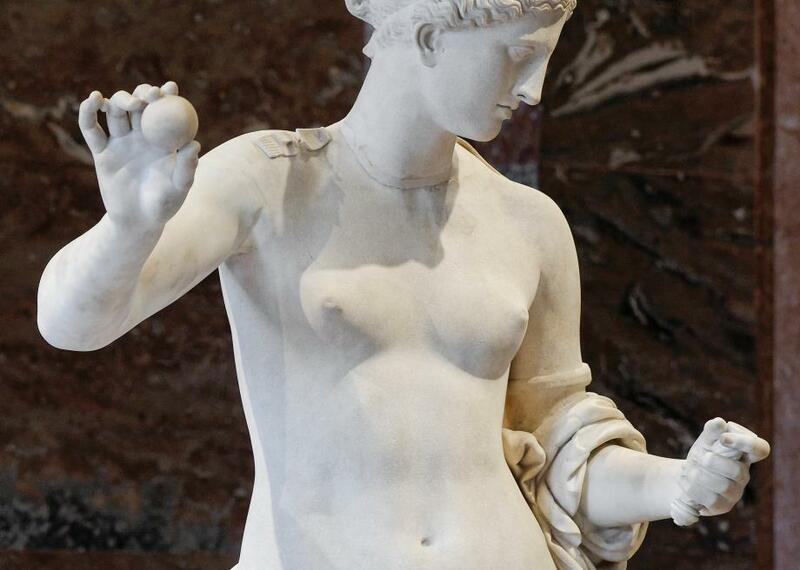 They seemed close enough to Venus’ proportions to invite goddess comparisons—the average young woman at Wellesley apparently had a waist circumference within half-an-inch of the hallowed Venus de Milo trunk circumference. A woman being measured by a thoracimeter at the physical training department of Wellesley College in 1915. In America, the detailed measuring of college students had been standard practice since the 1890s, when the physical culture craze took off at universities. Over the next few decades, physical educators, particularly Dr. Dudley Allen Sargent, director of the Hemenway Gymnasium at Harvard University, collected measurement cards from students all over the northeast. Participating institutions included prestigious women’s liberal arts colleges such as Smith, Bryn Mawr, and Mount Holyoke, in addition to Wellesley and the co-educational Swarthmore and Oberlin. These measurement cards did not require just height, weight, bust, waist, and hips. There were 60 required measurements per person, including instep, wrist, forearm, arm span, and “ninth rib.” And all this data was being put toward new and novel applications. In 1893, Sargent used composite figures from female students’ measurements to sculpt a statue and exhibit it at that year’s Chicago World’s Fair. 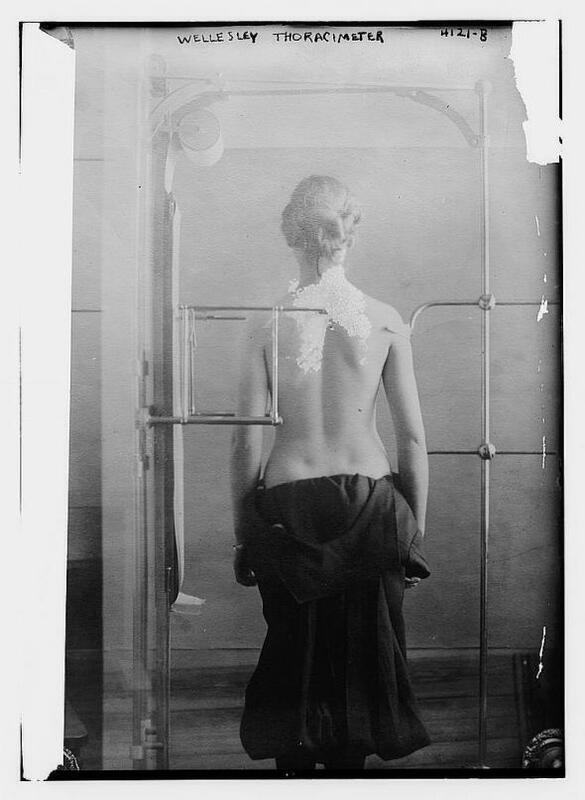 This figure came to be known as the “Harvard Venus.” Visitors to the fair were invited to examine it, reflect on how their own bodies compared, and submit themselves to be measured for Sargent’s data collection project. Venus of Arles at the Louvre. By this time, Sargent had collected the measurements of over 10,000 female students, yet he claimed he had still not encountered the ideal woman. “Among the many thousands who have been measured at the gymnasium, not one has fulfilled every requirement,” he told the Times. The closest was Annette Kellerman, an Australian swimmer and vaudeville star who stood 5-foot-4-and-a-half and sported a 35.2-inch bust, 26.2-inch waist, and 37.8-inch hips. Sargent called her the “perfect woman” for publicity purposes, but he was rounding up. Over the next decade-and-a-half, Sargent and other physical culture enthusiasts continued to scour the nation to find their human Venus. New contenders were discovered frequently. A Washington Post headline in 1912 proclaimed “Cornell Has Perfect Woman,” and named basketballer Miss Elsie Scheel of Brooklyn as its Venus de Milo equivalent. In 1913, the Oakland Tribune declared “New Venus Is Found by Harvard Savant”—the savant in question being Sargent and the Venus being 19-year-old swimmer Madeline Berle of Revere, Massachusetts. In 1916, New Yorker Irene Kelynack, 21, was dubbed a “flesh-and-blood replica” of the ancient statue, while in 1919 the Tribune blared “Los Angeles Has Perfect Girl of Venus Physique” and identified athlete Rosalind Smith as the new paragon of female perfection. The ridiculous thing about all this—well, one of the ridiculous things—is that these women’s measurements varied from one another by several inches. Not only that, but they were being compared to different standards, for there were multiple versions of the Venus de Milo’s measurements. Some physical culture practitioners quoted the statue’s bust-waist-hip stats as 39-26-38, while others believed she measured in at 34.75-28.5-36. The only stat everyone could agree on was the Venus de Milo’s height, which was set at 5-foot-4. 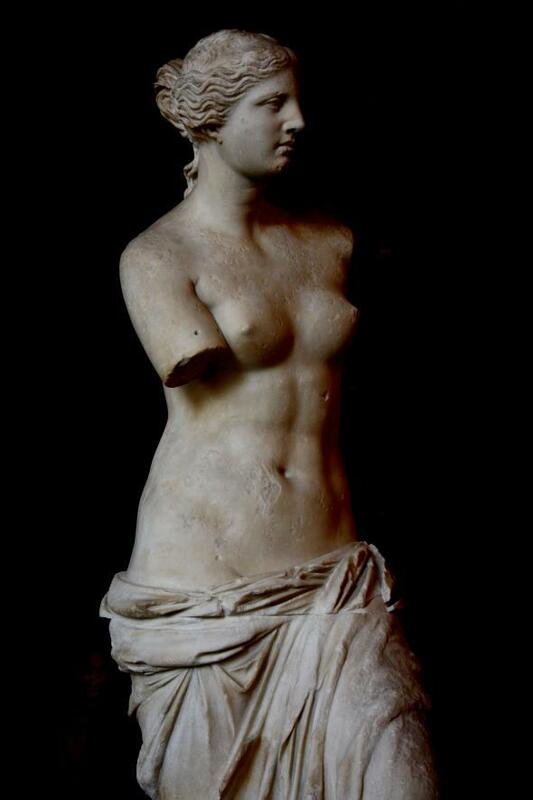 The Venus de Milo: a total uggo, according to L.E. Eubanks. 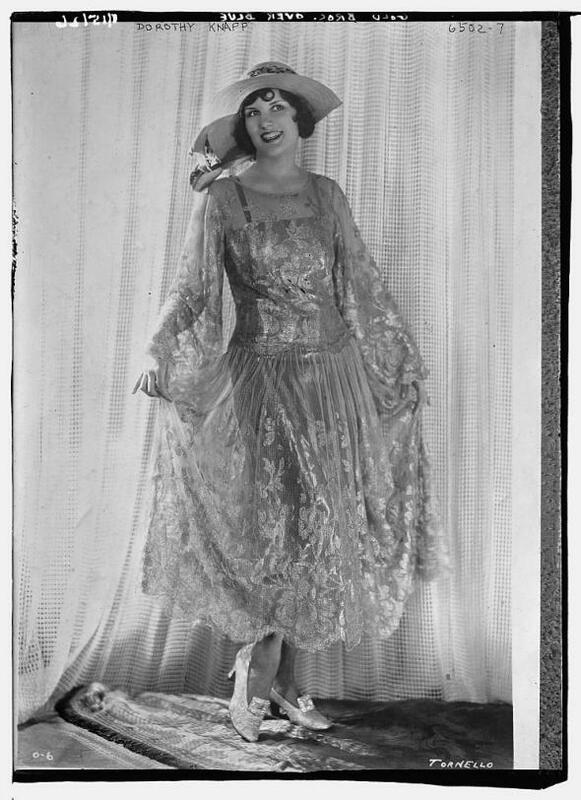 Dorothy Knapp, the winner—wrongfully, according to some—of the 1922 Miss American Venus contest. And just like that, the beauty rules changed again. After decades of searching and dozens of contenders, America hadn’t found its perfect living, breathing reincarnation of Venus—because she didn’t, and couldn’t, exist. Three months after the “new Venus” proportions were announced, Dr. R. Tait McKenzie, sculptor and former director of physical education of McGill University, told a crowd of female college students that he had given up on looking for ideal figures among America’s young women. Having studied hundreds of measurement cards from colleges in the country’s East, he declared that the women were all “slab-chested and knock-kneed”—the “antitheses of Venus,” according to the Oakland Tribune. But the fruitless quest for Venus was not the fault of the many thousands of women whose measurements were scrutinized and deemed imperfect over the years. The mistake was in equating human beings with lifeless, albeit carefully sculpted marble. Even L.E. Eubanks, the statue-scrutinizing anthropometrics guy who once declared the Venus de Milo “a trifle top-heavy,” acknowledged the folly of trying to compare live women to ancient sculpture.